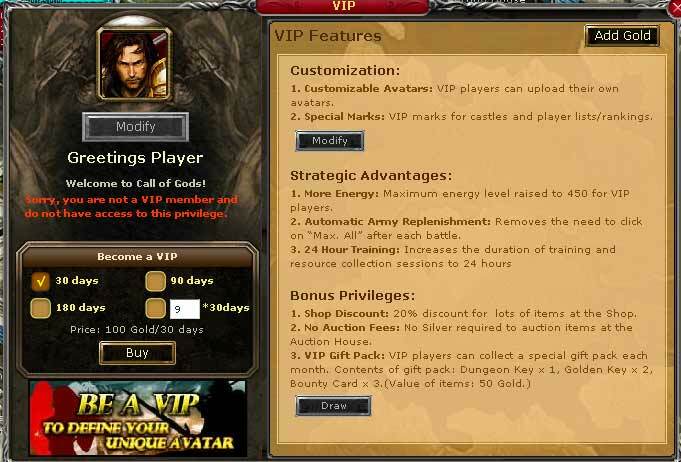 From the main window of the game, there are several ways to become a VIP. 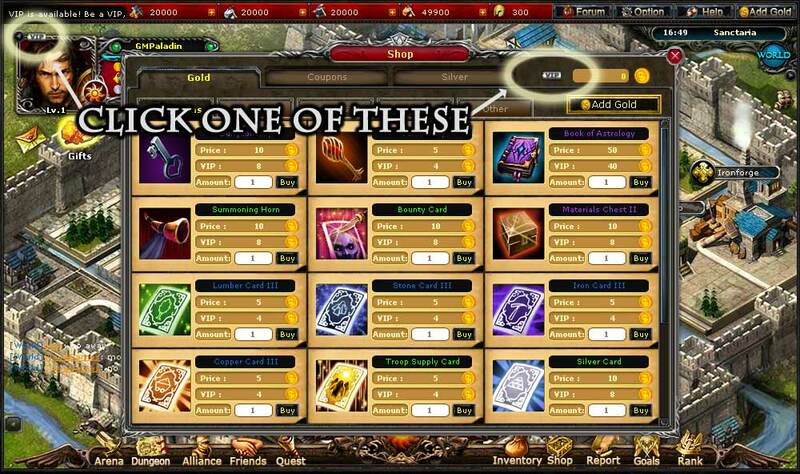 You can quickly become a VIP by clicking the button in the upper left corner of the game above your avatar that reads “VIP.” Additionally you may open the Shop and click the button “VIP” in the upper right corner of the Shop window. to purchase VIP which allows you special access and more customization.